I love my garden but I remember when I lived in an apartment and had no where to make a garden. At that point I didn't have any idea of the fantastic things you could grow in containers. 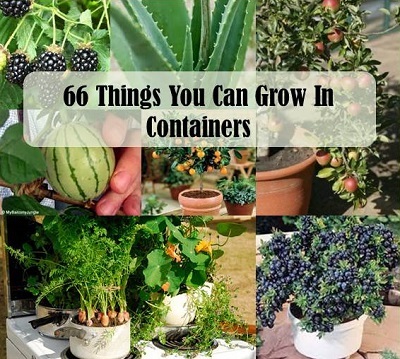 Here is a great list of things you can grow at home in containers. If you cant have a garden have a look through this list and get inspired.